We provide hearing testing and hearing counselling. Alison has worked as a pediatric audiologist, in both public health and at BC Children’s Hospital, since completing her M.Sc. in Audiology from the University of British Columbia in 2007. In her current role as Program Support Audiologist for the BC Early Hearing Program (BCEHP), Alison provides audiological assessment and auditory brainstem response (ABR) assessment for children from around the province, as well as ABR support and training to the BCEHP Diagnostic Audiologists. Raegan has worked as an audiologist, primarily in the area of cochlear implants since graduating from Western Washington University in 2004 with her M.A. in Audiology. Raegan has also recently completed her Doctor of Audiology (Au.D.) degree from Salus University in October of 2010. She began her career working with the adult Cochlear Implant Program with the Calgary Health Region for two years, and then went on work with Cochlear Americas as the Clinical Applications Specialist for Western Canada for 5 years. She joined the Cochlear Implant Team in August 2011. Kristina has worked as an audiologist since 2007, after graduating from the University of British Columbia with her Masters degree in Audiology. Kristina has experience with both adult and pediatric populations through her previous work at WorkSafeBC, and Surrey Memorial Hospital. Kristina has training in vestibular assessment and management, and also provides Diagnostic Auditory Brainstem Response testing through the BC Early Hearing Program. Kristina’s work at BCCH also involves assessment of children through the Cleft Palate/Craniofacial Team. Beth has been working at BC Children's since 1985 and has also worked at Vancouver General Hospital, St. Paul's Hospital, the Vancouver Oral Centre, the Western Institute of the Deaf and Hard of Hearing and the Program for Deaf and Hard of Hearing Adults at Vancouver Community College. Beth completed her MSc in Audiology and Speech Sciences at the University of British Columbia in 1982 and has been a Clinical Assistant Professor there since 1994. She has done research in aural rehabilitation, focussing on communication strategies and sensory devices for people with severe-profound hearing loss. She has taught speechreading (lipreading) at VCC since 1981. Beth currently works full-time at at Children's. She has particular interests in ototoxicity and hearing assessment of difficult-to-test children. Ruth has worked as a pediatric audiologist after completing her M.Sc. in Audiology and Speech Sciences from the University of British Columbia in 2002. Ruth recently joined the team at Children’s in October 2008, primarily working in the Cochlear Implant Services. Prior to this, she was at The Hospital for Sick Children in Toronto working on various teams including the Cochlear Implant Program. Samantha has worked as an Audiometric Technician for over 6 years. She worked at the Western Institute for the Deaf and Hard of Hearing for over 5 years before joining the BC Early Hearing program in November 2011 at BC Children’s & Women’s. She divides her time between Screening newborns and assisting the audiologists in the Cochlear Implant program and Audiology department. Lorna is the Administrative Assistant for Cochlear Implant Services, in addition to the Physiotherapy and Occupational Therapy Department at BC Children's & Women's. She originally started with Sunny Hill Health Centre for Children in 1996 and has worked in various clinics and departments within BC Children’s Hospital and Sunny Hill including the Visually Impaired Program, Communication Development Department, Child Life, and Sexual Assault Services. Selma has worked as a clinical audiologist since completing her M.Sc. in Audiology and Speech Sciences from the University of British Columbia in 2001. Over the course of her career in BC and Alberta, she has worked with adults and children providing services in a wide variety of areas including cochlear implants, hearing aids and balance. She most recently was working with the Adult Cochlear Implant Program at St. Pauls' hospital. She has joined our team in June 2017. Jenny is trained as an Audiologist and has worked at BC Children’s Hospital since 2008. Prior to this, she worked at the UBC Human Auditory Physiology Lab for over four years. Jenny has a number of publications in the field of auditory evoked potential testing, and continues to be actively involved in research in this area. She joined the BC Early Hearing Program (BCEHP) in August 2010. In her Clinical Diagnostic Audiology role, she provides clinical Auditory Brainstem Response (ABR) testing at BC Children’s Hospital, as well as ABR testing support and training to the BCEHP Diagnostic Audiologists around the province. Cheryl joined the staff as the sedation nurse for sedated ABR’s in the Audiology Department in 2005 after 17 years in general pediatrics and post anesthetic recovery room. She did her training at Langara College with a diploma in Registered Nursing and recently in 2011 completed her Degree in Nursing (Bsn). Cheryl’s specialty is working with children with special needs as well as an advocate for families. 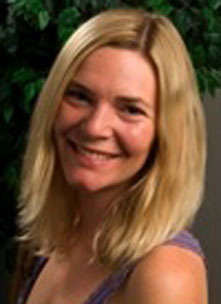 Catherine is the administrative assistant for the Audiology and Speech Department. 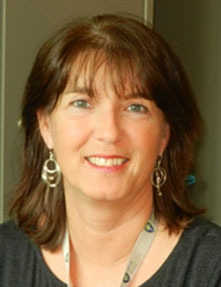 She has worked for BC Children and Women's Hospital since 1996 when she began at Sunny Hill Health Centre for Children. She has been at the BC Children’s Hospital site since March 2001, working in the Oak Tree Clinic, Neonatal Follow-up Program, the Microbiology Lab and currently in the Audiology & Speech Department. She is responsible for booking appointments and keeping a very busy clinic organized. Donna has been with Children’s since 1993; first on a part-time basis and full-time since January 2002. 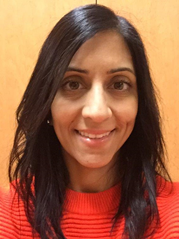 She has also worked in a private practice hearing aid clinic and in the Neuro-otology Clinic at VGH since graduating with her Master of Science from McGill University in 1993. She obtained a Bachelor of Nursing degree from University of Manitoba in 1989 and worked as a nurse for three years before returning to university. She enjoys all aspects of working in pediatrics, but her special area of interest is cochlear implants. We usually pre-register our patients. You should be getting a call from the Admitting Department a couple of days before your appointment. If you do not hear from the Admitting Department, please arrive 15 minutes prior to your appointment and report to the information and admitting area (in the hospital lobby) to register your child. If your child has been pre- registered, please report directly to the Audiology and Speech Department, Ambulatory Care Building, Section K2-192 (Area 9) OR If you have a cochlear implant appointment, report to the 1D clinic area in the main building. If at all possible, please arrange for care of siblings. Patients who are seen through the Audiology Department will have various follow up recommendations, depending on their test results. Children as sometimes referred back to the doctor who referred them for medical care, some are referred to their local public health audiology clinic (BC Public Health Audiology Clinic List website) for ongoing follow up testing or fitting of amplification. Some children are referred for intervention or treatment services in their community. Follow up plans will be discussed with caregivers and written in reports that are copied to them. ?You need a referral from a doctor ?to use this clinic.